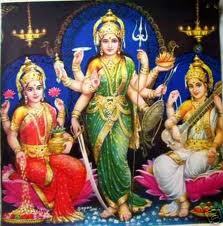 This year Navrathiri starts on 21st September. Mahalaya Amavasai is on 20th September, which is considered auspicious for arranging Golu (dolls) and also for Kalasa sthapana. 21st being Prathamai, Navarathiri Puja starts on that day and continues till Navami, 29th September, and 30th September is Vijaya Dasami. Please click the link below to open and view the spread sheet giving 10 day chart, in a tabular form the nine different ways to worship THE MOTHER in nine forms of Shakthi. bless all of us with happiness and Fortune. NOTE: The above chart is as per Indian Standard Time. Thank u for giving us this chart for Navaratri utsavam every year..may the Goddess bless u and your family with all happiness n prosperity.